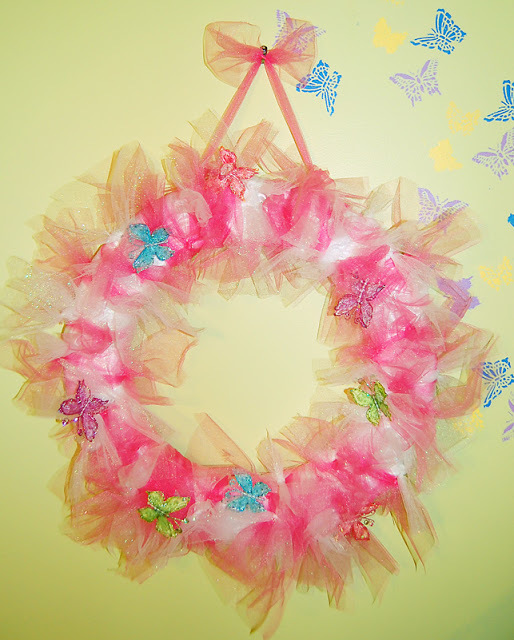 I decided to make a wreath accentuate the new decor in Em's room. I literally made this wreath during the kids nap time. 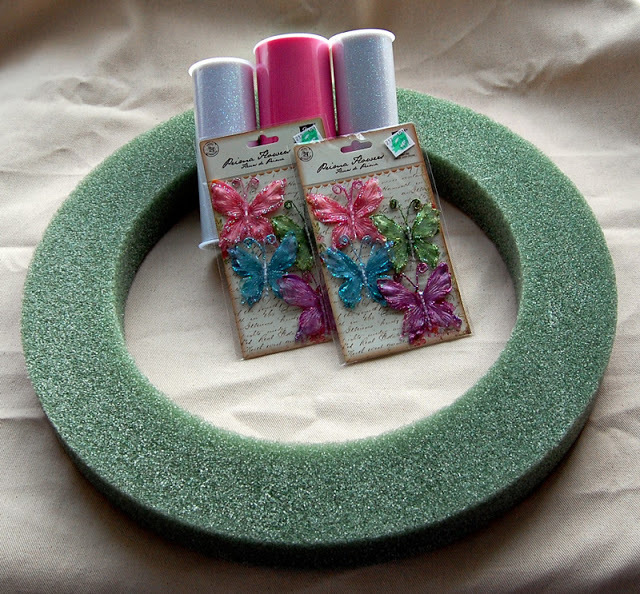 For convenience, I used Tulle on a roll (so I didn't have to worry about raveling and cutting, plus when I purchased it, it was 50% off :) ). Cut strips of material to cover the foam about 6 inches wide, then folded the edges over and top stitch the edges. 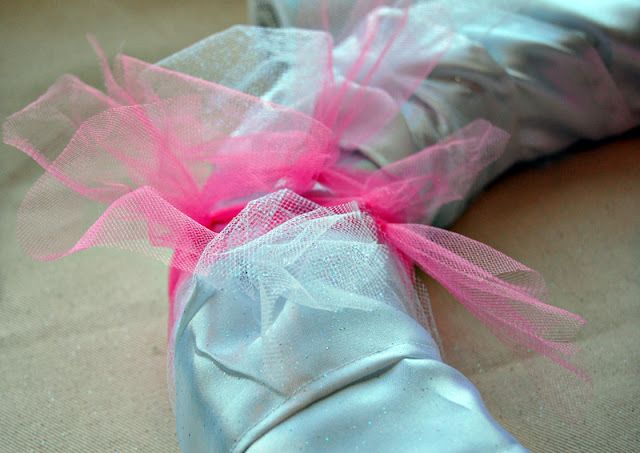 Then cut strips of tulle about six inches wide and 12 inches long (guestimated). 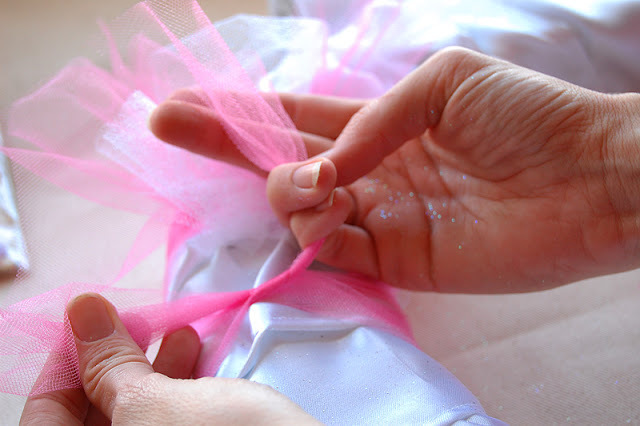 Wrap the tulle around the foam and double knot. 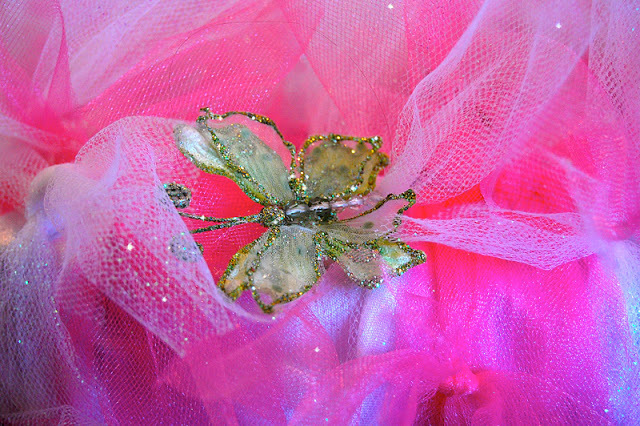 Alternate the colors of tulle. 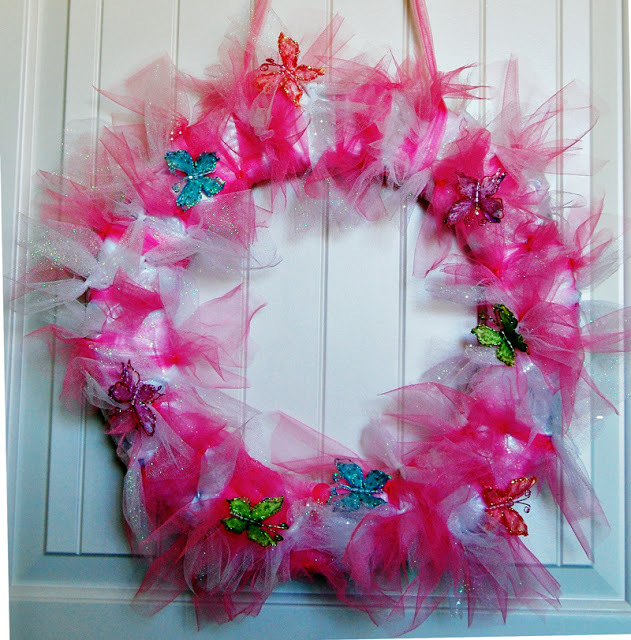 A beautiful wreath in less than 2 hours, I just love productive nap times!! !